Ho scoperto solo oggi cos’accadde a Sharpeville. 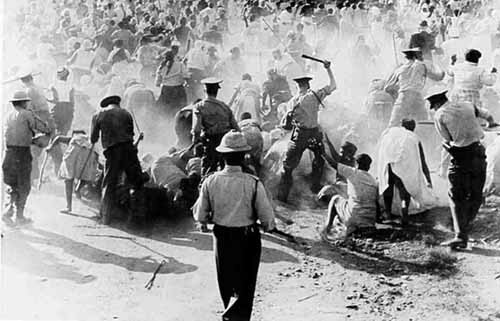 The Sharpeville massacre occurred on 21 March 1960, at the police station in the South African township of Sharpeville in Transvaal (today part of Gauteng). After a day of demonstrations, a crowd of about 5,000 to 7,000 black protesters went to the police station. The South African police opened fire on the crowd, killing 69 people. Questa voce è stata pubblicata in approfondimenti, Blog. Contrassegna il permalink.